The AES Crestwood Foundation, Inc.
Report cards were sent home on Wednesday. We are truly proud of the students and their accomplishments. I encourage the students to continue to study hard and broaden their understandings of content. We do not want the “summer slide” to begin prematurely and there are many topics to delve into in these remaining months. We had a successful visit from the Catholic High School admissions counselors this morning and they were thrilled to see the spirit of our 6th and 7th grade students. The students came prepared with questions and had the opportunity to learn about the programs that are offered for their not-too-distant futures in high school! As we approach Holy Week, we would like to remind our families to see the Living Stations of the Cross presentation at the Annunciation Church this evening, 7PM. This week is very important to our faith and the children, along with Mrs. Cosgrove, have worked really hard to prepare for this beautiful evening. I hope that you all have a blessed Palm Sunday! Our Arithmetic April challenge is in full swing. Our classes are engaging in drills, sprints, and activities to help them become more proficient with mathematical concepts. Please keep working on this at home too! Teamwork makes the dream work!  Additionally, speaking of teams, we welcome the “Take-The-Shot, Give-A lot!” charity basketball game to the Annunciation School this evening at 7PM in the gym. We are grateful to the students and coordinators who made this event possible! In this season of Lent, we are always thinking of ways to “give back” to our communities and demonstrate care for others! Good luck to the teams playing this evening! Please mark your calendars and start your mixers! The Annunciation Ladies Guild is hosting its annual Palm Sunday Bake Sale in the Annunciation School gym following the 5pm Mass on Saturday, April 13th and continuing throughout the morning of Sunday, April 14th. We also will be selling limited items at Fatima after the 9 am and 11 am masses. We are in need of baked goods such as cakes, pies, cookies and cupcakes! Our best sellers are the home cooked meals such as stromboli, chili, chicken pot pie and quiche! We would like to offer gluten-free, nut-free and low-fat baked goods again this year. The class with the most donated baked goods wins a pizza party! Please be on the lookout for a volunteer form being sent out by the class moms via Sign Up Genius. Thanks for your support!